Who would not appreciate a perfectly tidy and neatly arranged desktop - be it in the office or in the study at home. An optimal positioning and mounting of one or several monitors is worth its weight in gold. reflecta, the specialist for monitor mounting systems from Rottenburg near Stuttgart in the south of Germany, now offers as many as eleven new desktop mounting systems which live up to any requirement regarding size and arrangement. 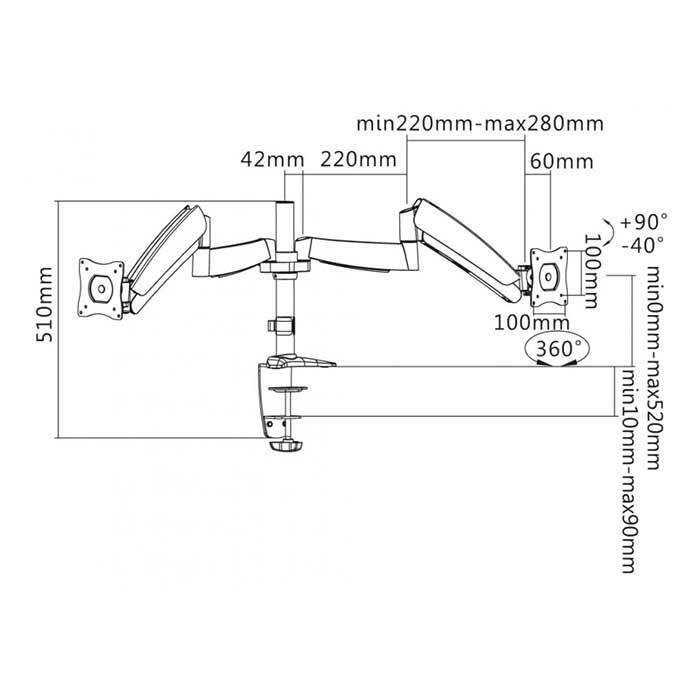 Three models of the "FLEXO - Desk Pro" series are mounted via a table clamp. 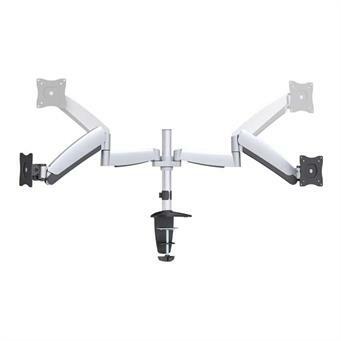 A gas-filled spring system allows to adjust the mount to any position and arrange one, two or four monitors. With the three "FLEXO - Desk" models, you can also mount one, two or four screens. These mounts feature three additional joints, making the monitor adjustment even more flexible. These models are also fixed to the desk with a table clamp - a very sturdy construction. The two desktop models "PLANO - Desk", which are mounted to the desk with a solid clamp, are particularly strong. The monitors are mounted to two horizontal rails and allow for a variable distance of four or even six monitors. The "PLANO - DeskStand" series features three models which can do without table clamps as they have sturdy feet. The monitors are also mounted to two horizontal rails and allow for a variable distance of up to six monitors. The Vesa standard is 100 x 100 for all models. The sizes of the monitors can range from 13“-23“ or 13-27“. All models offer a maximum load weight of 8-9 kg per monitor..